Want to see Snowflake in action? Try Snowflake today with $400 in free usage credit. Just click the button to get your free trial now. Introducing Snowflake, the Only Data Warehouse Built for the Cloud. 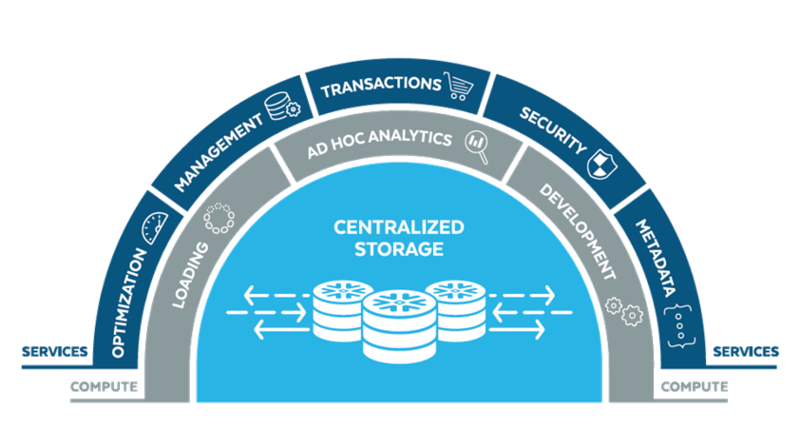 The only data warehouse built for the cloud. Conventional data warehouses and big data solutions increasingly struggle to deliver on their fundamental purpose: to make it easy to amass all your data, enable rapid analytics, and quickly make data insights available to all of your users, consumers and systems that need them. To solve that, we built a new SQL data warehouse from the ground up for the cloud, one designed with a patented new architecture to handle today’s and tomorrow’s data and analytics. The result? A data warehouse that delivers performance, simplicity, concurrency and affordability not possible with other data analytics platforms. Snowflake changes the way you think about data warehousing. Watch this short video to learn how a unique approach and architecture allow Snowflake to address the challenges of today’s data and analytics.